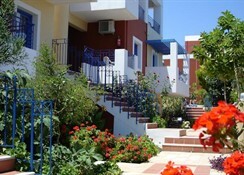 The Astra Village appartments is situated in the picturesque hillside community of Koutouloufari overlooking the cosmopolitan beach town of Hersonissos. 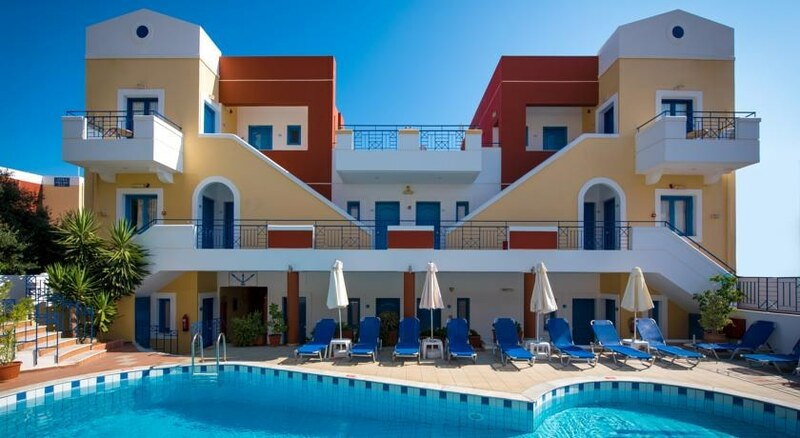 With spectacular views over the sea and surrounding mountains, Astra Village offers relaxing holidays for families and couples in a peaceful neighborhood, yet with plenty of lively activities close at hand. 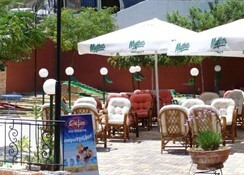 Please note : Air Conditioning and Safety Deposit boxes are facilities of extra charge to the room price. Also available Baby Cots and High Chairs. Iron and Ironing board on demand. Minigolf with extra charge. 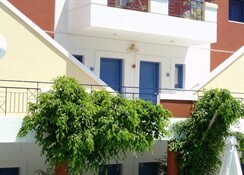 Based on the ancient minoan architecture the hotel boasts 35 apartments and 10 studios all self catered. 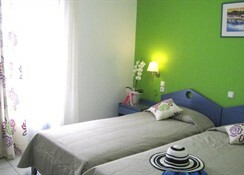 Apartments consist of two rooms, one bedroom with twin beds or a double bed and a kitchen room with one or two chair beds. 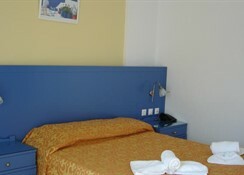 Studios consist of one room with twin beds or a double bed. 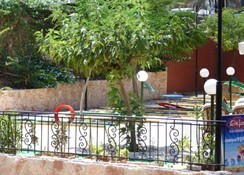 All apartments and studios are equipped with: * Furnished balconies (with sea or mountain * Satelite TV * Air-Conditioning * In room safe * WC with shower * Hair dryer * Kitchenette fully equipped with: fridge, toaster, cooker, kettle and smoke detector.